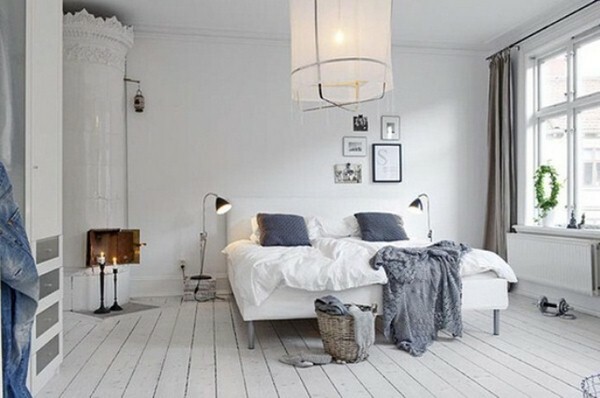 Gold and white is a luxurious color combination that looks elegant and chic and would give every room a noble shine. 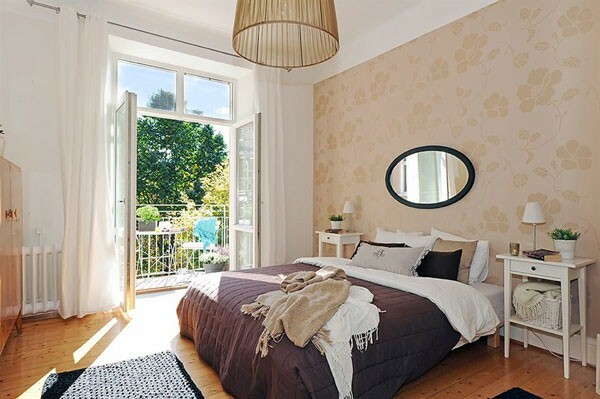 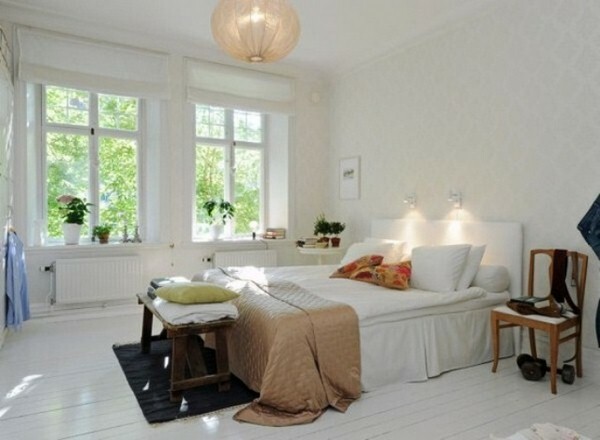 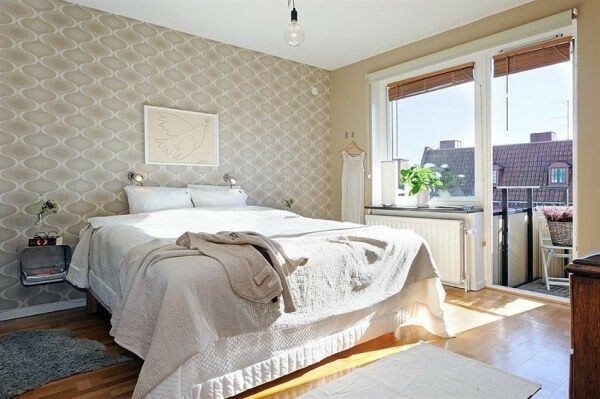 This beautiful bedroom Scandinavian style is relaxed and feminine, without that the gold is too corny or dominant in the area. 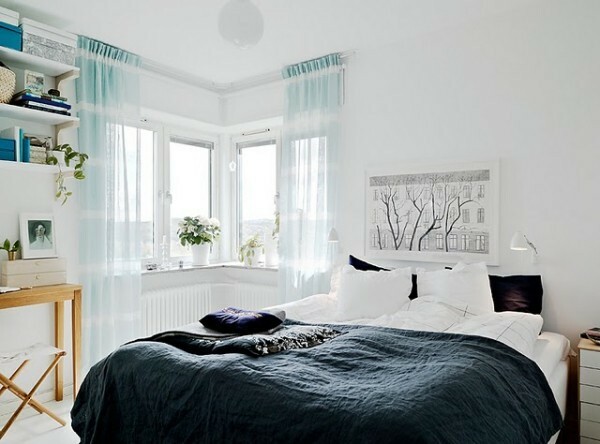 This brilliant bedroom design harmoniously combines the tranquility of the white color with the glamorous gold accents in a fascinating balance. 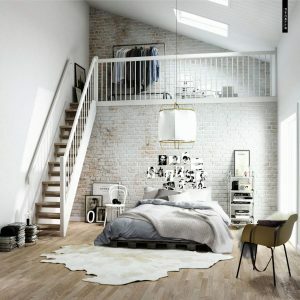 A dream bedroom, where you could escape every night in a different world. 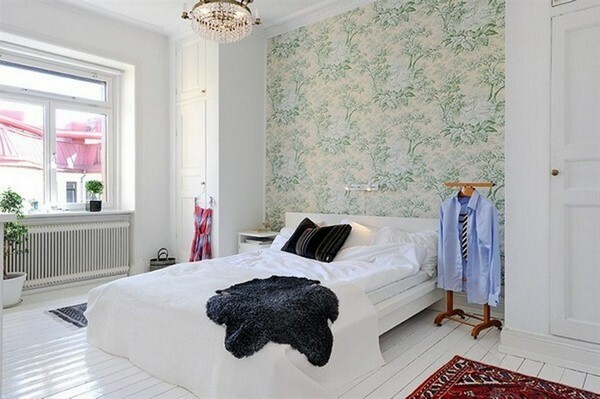 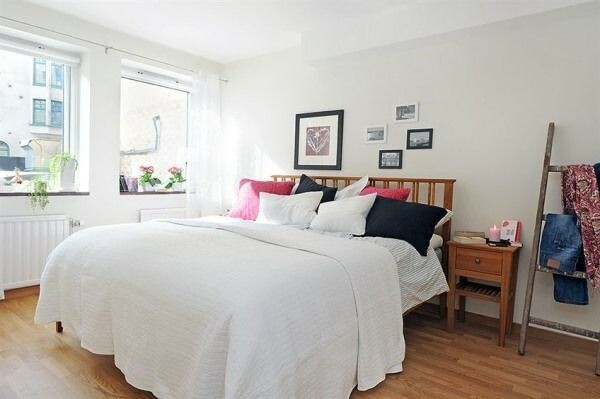 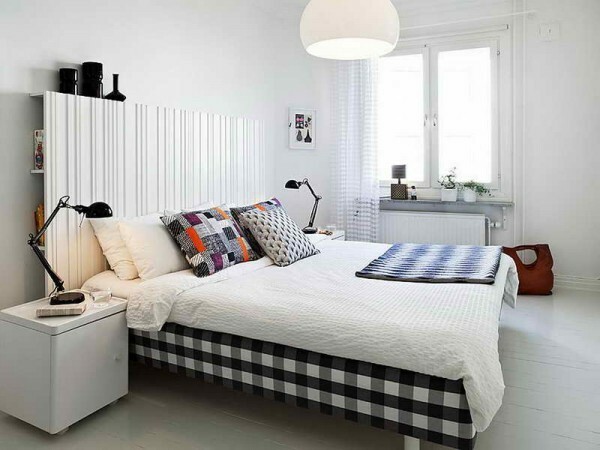 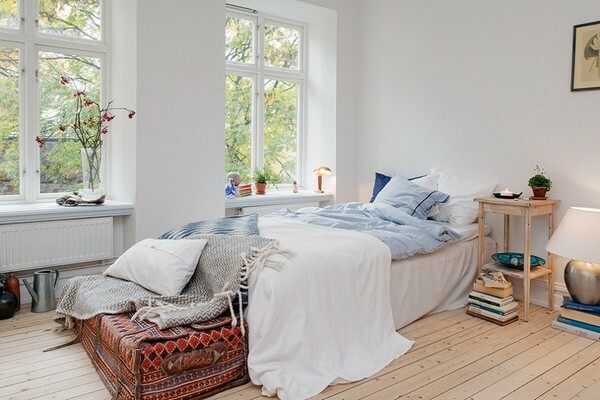 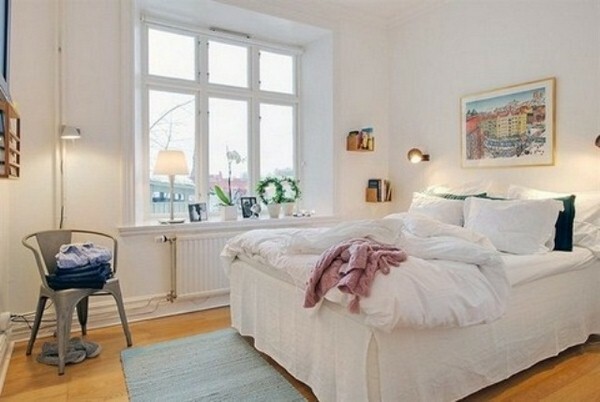 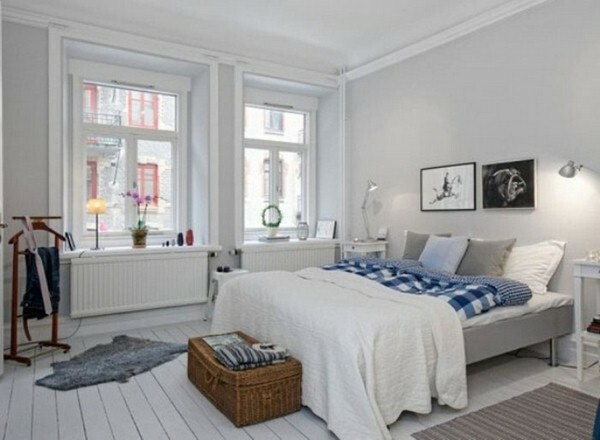 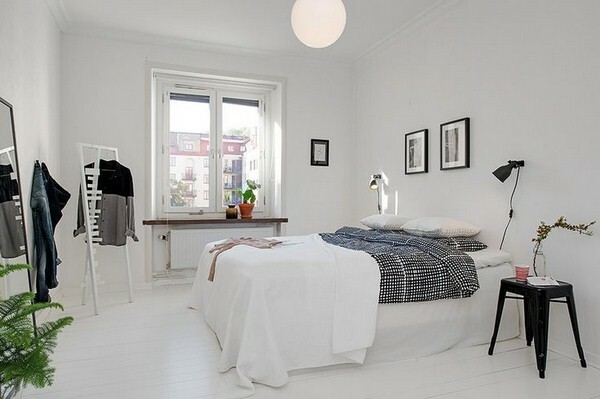 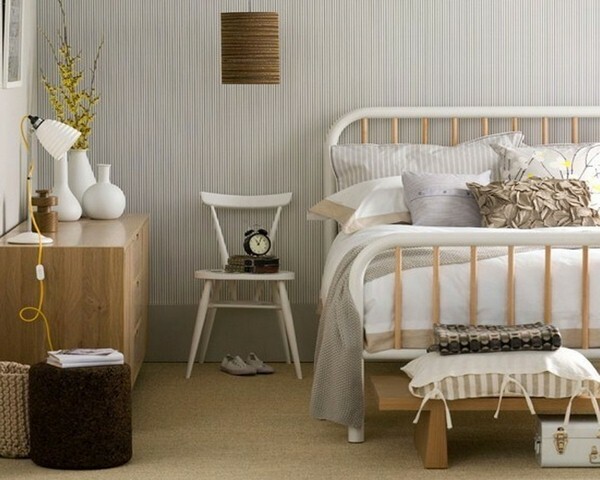 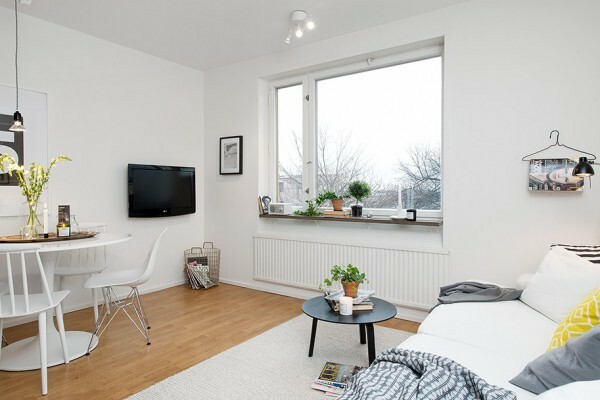 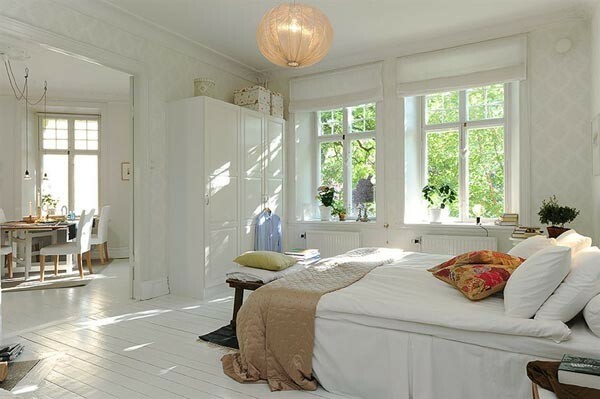 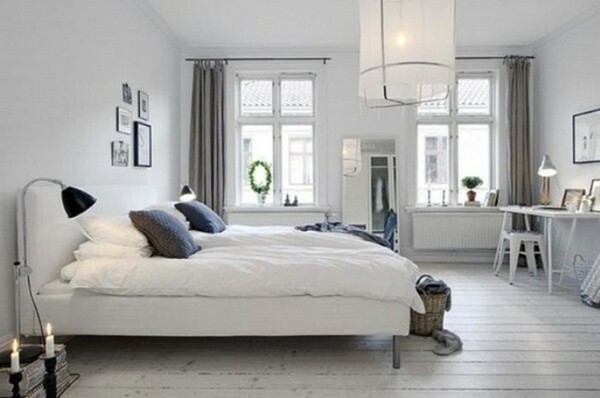 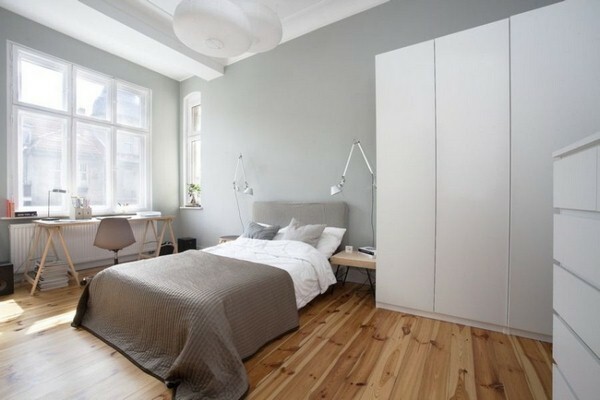 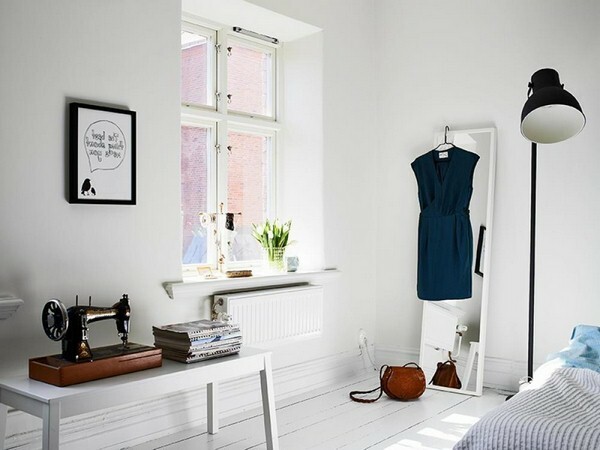 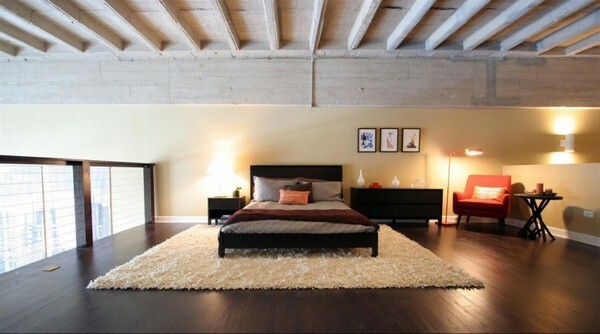 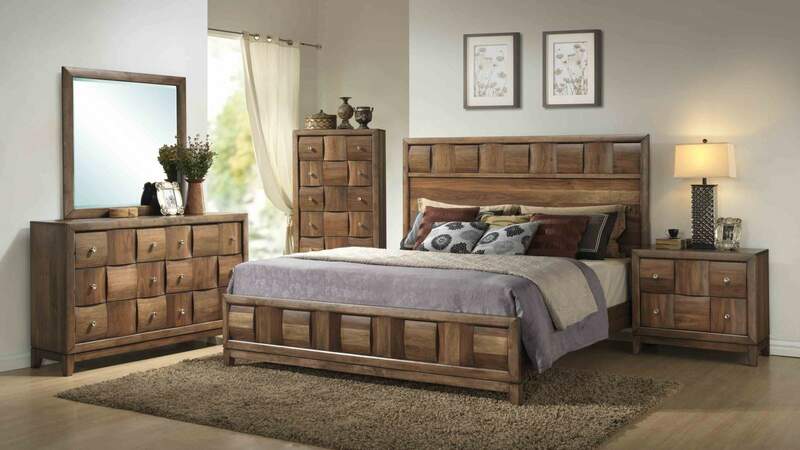 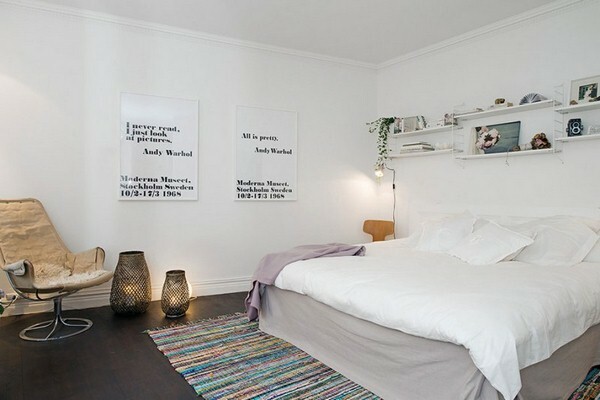 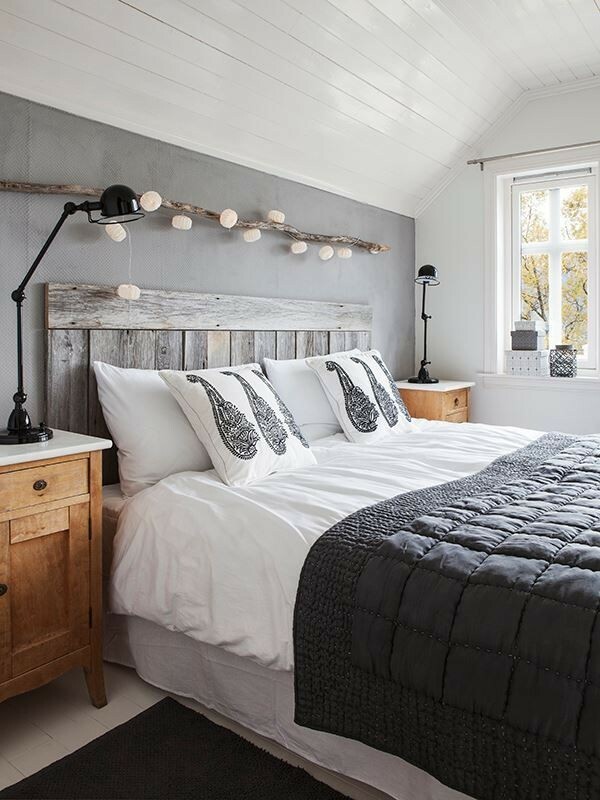 The furniture in this beautiful bedroom is minimalistic, but very functional and make optimum use of the space. 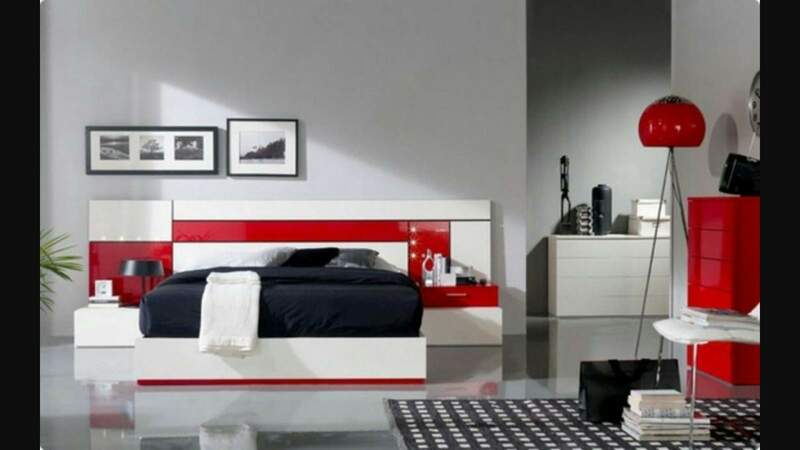 The Scandinavian design is characterized with bright colours and a certain degree of brightness and relaxation. 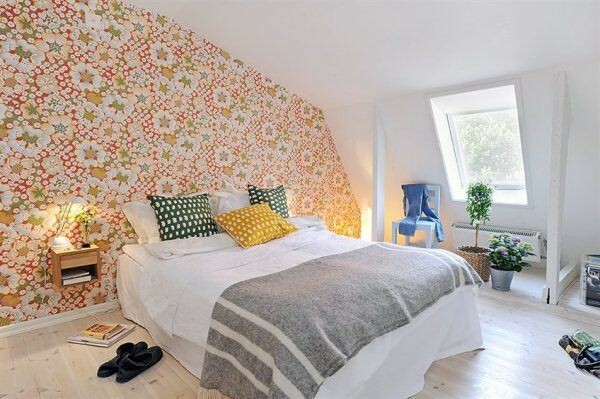 There are some elements in the small room, which are particularly impressive. 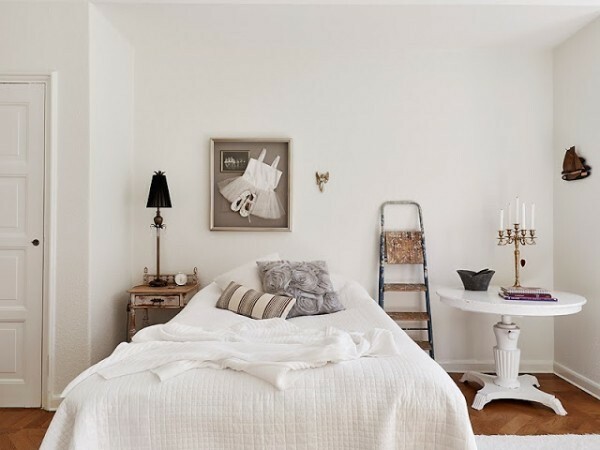 The headboard and accommodates books and some decorative accents in gold, including a sweet Golden lamp, which provides more light for reading. 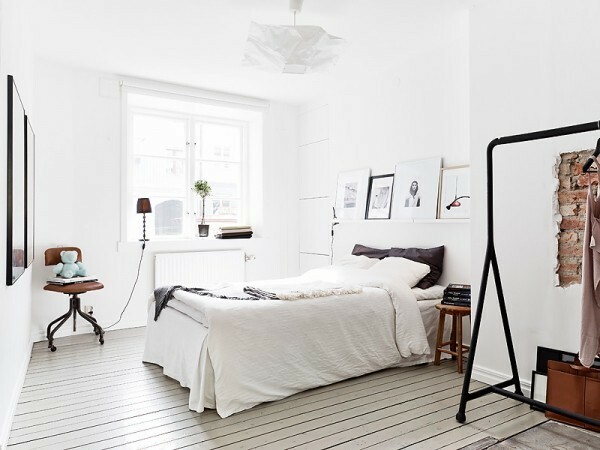 This coat stand in white is very compact and perfectly suited for the Scandinavian style. 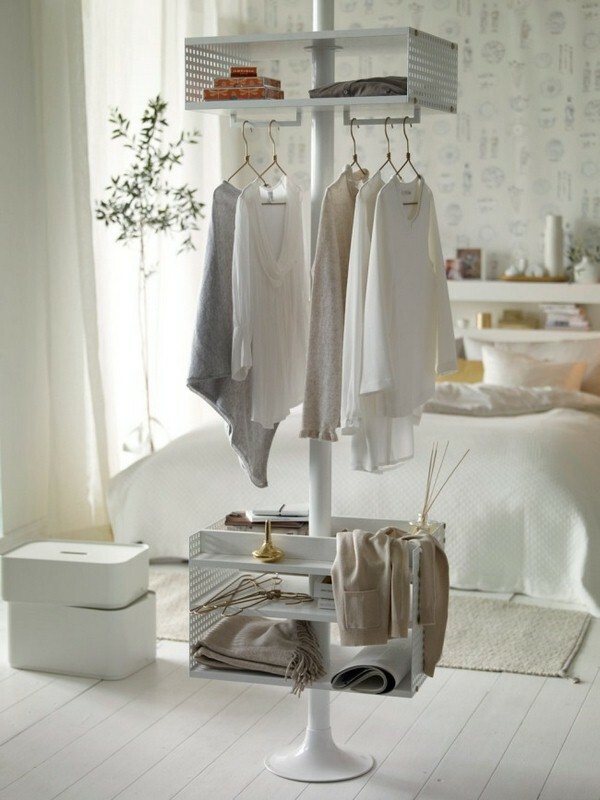 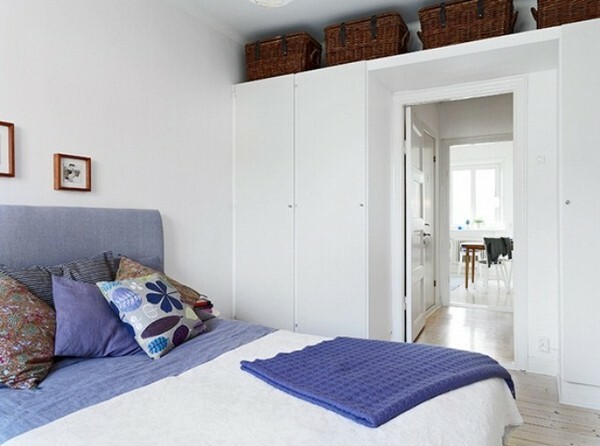 It offers enough space to hang clothes and is also equipped with two shelves above and below. 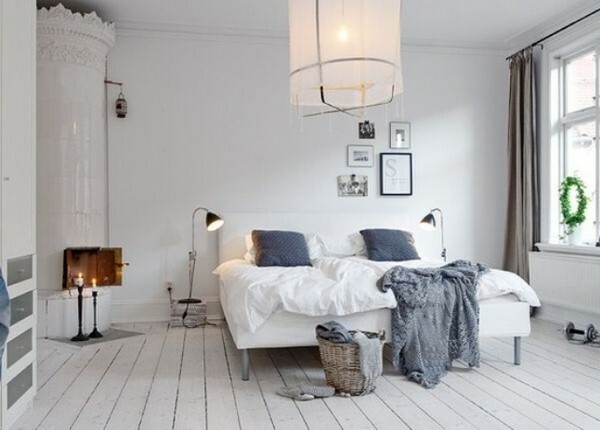 Beside the bed there is a simple white table with Golden legs. 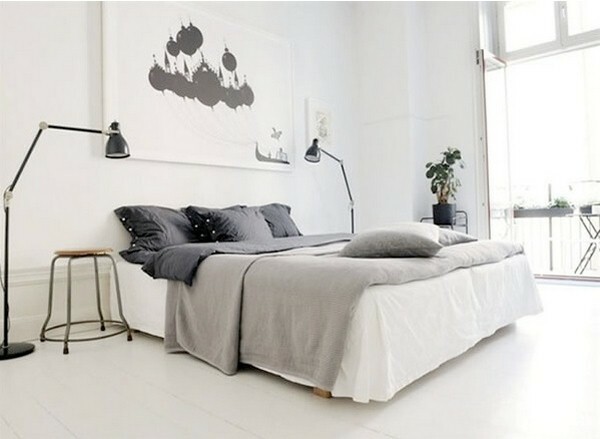 A golden night lamp next to the bed is adding some more light to read. 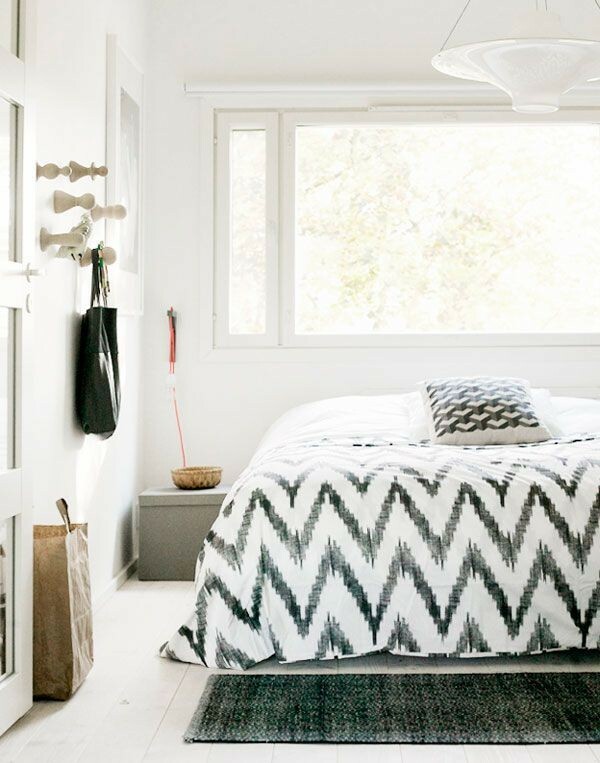 You can immediately realize that great attention has been paid to every detail. 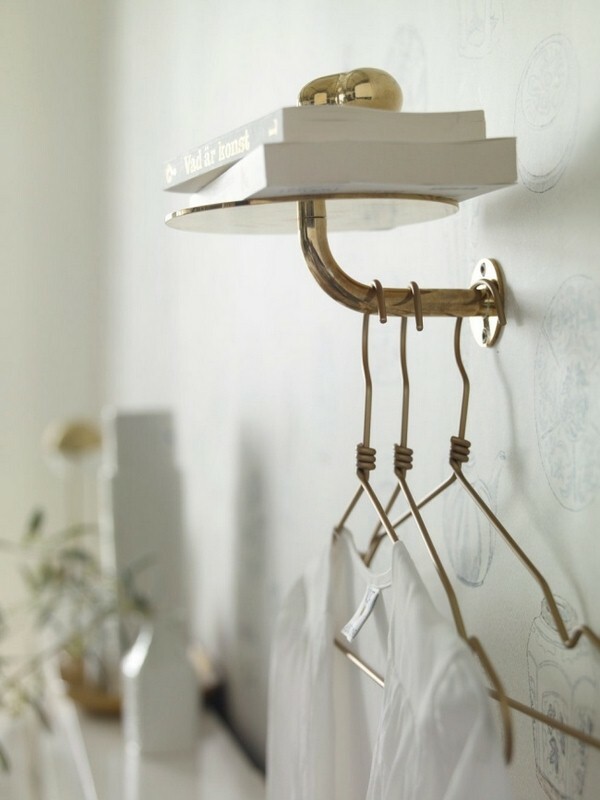 Even the hangers are gold-plated. 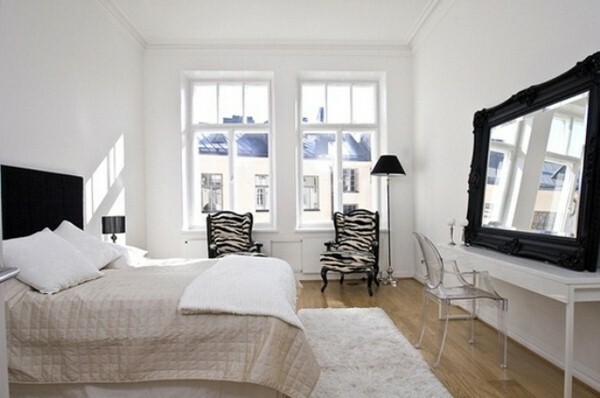 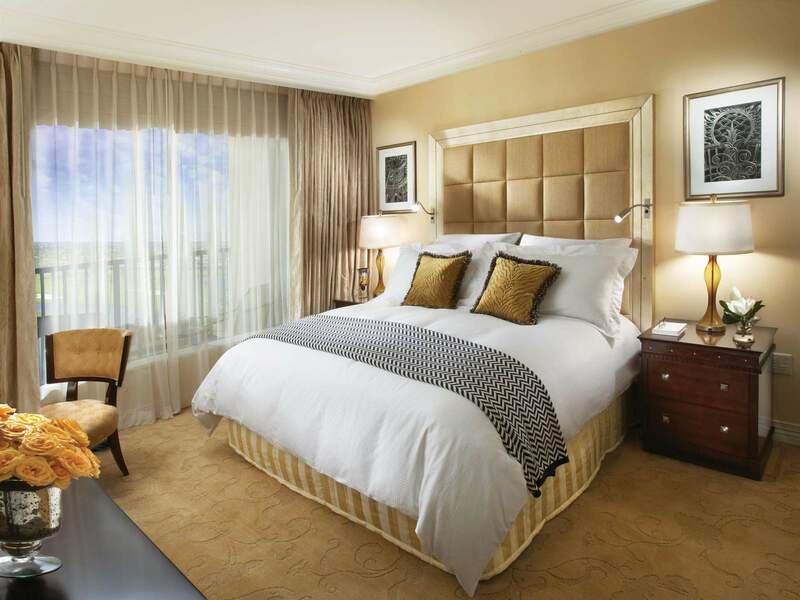 On the bed, white and ocher pillows and blankets are combined with a beautifully patterned ceiling.